Known as Gaelic worldwide, locally it is more commonly referred to as Irish. It is the first official language of Ireland, as well as one of the official languages of the European Union. 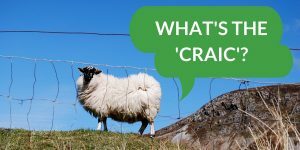 There are a number of common misconceptions about the Irish language, one of them being that it is simply a dialect of English, if you’ve ever heard so much as a sentence of our native tongue you’ll find that this couldn’t really be further from the truth! And if I do say so myself, Irish is one of the most beautiful languages in the world. Phonetically, Irish is a bit of a challenge. A prime example of this is my name Aoife, a quintessentially Irish name which you may not have known is pronounced: “Ee-Fa”, I’m going to assume that was not your first guess! Sadly, the majority of people in Ireland now lack the ability to speak Irish fluently. There have been a number of factors that have led to the decline in fluent Irish speakers. The speaking of Irish was prohibited during British rule between the years of 1801 and 1923. 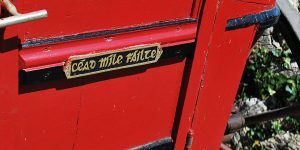 The mass exodus of Irish citizens who emigrated far and wide during the famine also contributed to the decline of the language. Irish has only survived as a first language in little pockets in the most rural parts of the country. These are known as Gaeltacht areas. 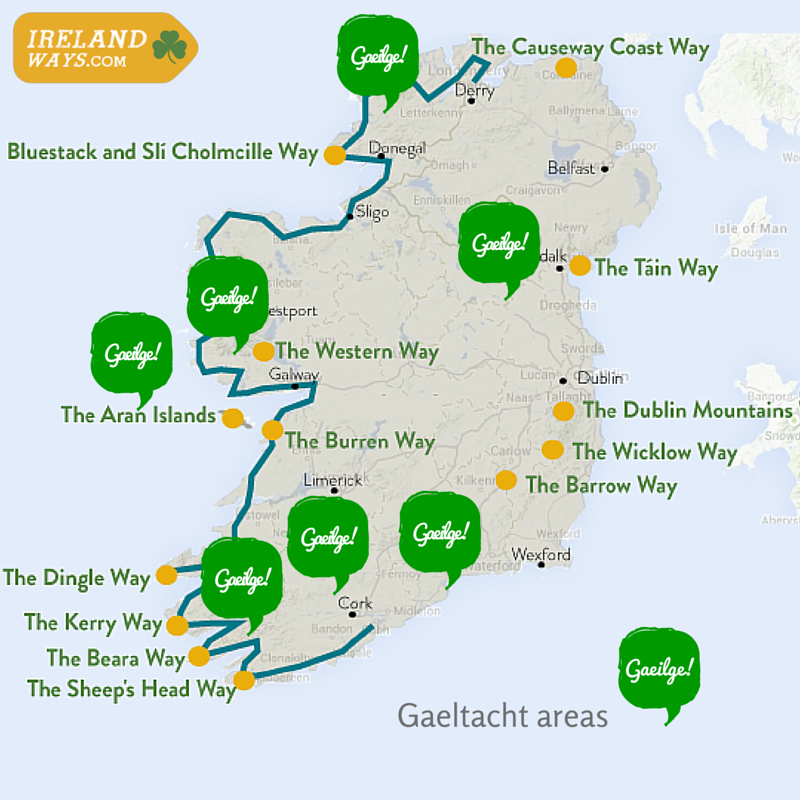 If you wish to hear Irish during your trip, you have a number of options; The Great Western Greenway, finishes in Irish-speaking Achill island, The Western Way which traverses through the Connemara Gaeltacht, the Dingle Way will take you to the Irish-speaking area of the Dingle Peninsula and the Bluestack and Slí Cholmcille will get you acquainted with Ulster Irish in Donegal. However, there are still a number words and phrases that colour our version of Hiberno-English; titles such as Taoiseach, Tánaiste (Prime-minister and deputy prime-minister) and Garda (Police Officer) are used in every day life. Then of course “Craic”, a word used daily by Irish people which literally translates to “fun”, but we know that fun doesn’t quite cover it … You’ll often see the words “Craic agus ceol” adorned on the walls of our national institution; the pub, this is to let people know that this is a place for music and our particular brand of fun! In addition to these, you may also find Irish people, subconsciously throwing smatterings of Irish into conversation, we call this practice using “a cúpla focail”, a couple of words. I often hear friends of mine saying “Aon sceal?” meaning, any story? Or using the Irish words “gabh mo leithsceal” to excuse themselves etc. My mother is known to deliver commands As Gaeilge such as “Dun an doras” – Close the door. …. And of course “Ciunas” which means “quiet”, it’s of little wonder that we haven’t forgotten this from our school days when in many schools, particularly in primary education, there was a huge emphasis put on the Irish language and many commands would be dealt in Irish. Perhaps the most important of which was requesting permission to use the bathroom during the school day. If the words “An bhfuil cead agam dul go dti an leithreas?” were not uttered with perfect diction, the request would have fallen on deaf ears. This is one sentence in Irish that we couldn’t possibly forget, even if we tried. There are some rather vital words and expressions that contain no literal Irish translation. For example, there is no exact word for “yes” in Irish, rather, when posed with a question you may reply with either the affirmative or negative form ie. Another word that we don’t have is hello. The common greeting is “Dia dhuit” meaning “God be with you”, to reply, it’s not quite as simple as repeating this phrase back, oh no, that would be far too easy, the standard reply is “Dia is Muire duit“, which translates to God and Mary be with you. There you have it, a history, language and religion lesson all in one! 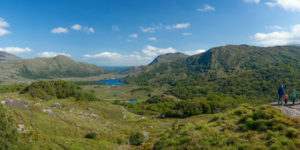 For more information about cycling and walking tours in Ireland, or to book your trip, contact the IrelandWays.com specialists. Emily was born in Dublin and spent her childhood being dragged up mountains all over Ireland, only to find herself continuing with this hiking habit as an adult. 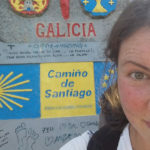 She has walked the full Camino Francès. Emily has spent time living in Andalucia, Spain and has travelled in Europe, South America and Africa. She studied History of Art and Linguistics and worked as an English teacher before joining the Camino Ways team. Apart from climbing mountains, she loves writing, drawing, making salad and belly laughing with friends.